If you are fortunate enough to have a venue that you control 12 months out of the year, then you know that there are other costs, such as utilities and insurance, that do not stop when the lines stop. Why not use your permanent location for other events during the calendar year? Kim Yates has successfully built in off-season events in two year-round haunt venues, and it seems like she is always adding things to the schedule. Learn how to take advantage of your permanent location and add a few more dollars to your bottom line. Kim Yates has been in the Haunted House business for over 25 years. 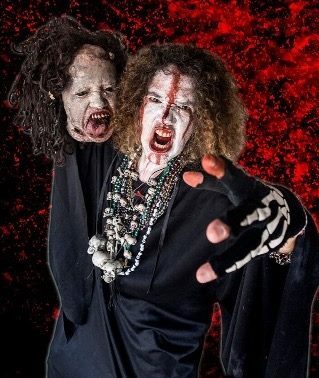 She owns and operates Kim's Krypt Haunted Mill located in Spring Grove, PA featuring 6 attractions on 62.5 acres plus the home of Kim's Krypt Kampout,, a Summer Scavenger Hunt Extravaganza to DIE FOR!